Slow down and take time for yourselfbecause a better you is a better mom! The second book in the Hot Mess to Mindful Mom series, Get the Most out of Motherhood will help moms create balance, peace, and well-being in their homes, leaving behind their old ways of being constantly stressed-out and frantic. 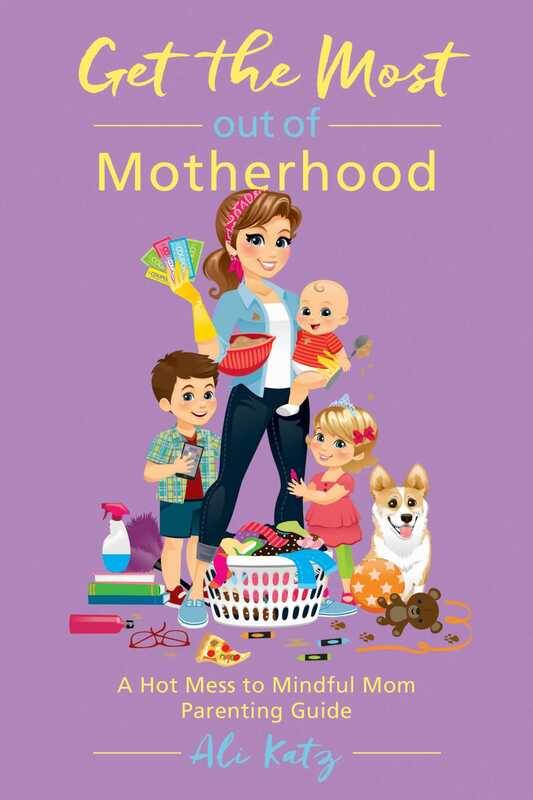 Easy and accessible, and filled with unique tools and ideas as well as personal examples that readers will relate to, this book will help moms go beyond the basics to build a healthier and happier family unit. Ali Katz is a certified meditation teacher, a mindfulness coach, and mom of two precious boys. She loves nothing more than sharing her passion for living a balanced life with others, and has been featured on MindBodyGreen, Style magazine, Fox 26 News, HerFuture, Houston Family magazine, and LiveMom.com. When not meditation, writing, teaching, or spending time with family, Ali enjoys running, practicing yoga, and sipping tea. She resides in Houston, Texas. Recognized as one of the Year's Best Books for Better Living (family/parenting category) by Indpendent Publisher!